Violators of sharia sentenced – or arbitrarily sent – to re-education camps. While some converts are arbitrarily arrested and sent to the centers, detention in one of the three camps is “slowly gaining preference among sharia judges in Malaysia” as an alternative to prison sentencing, Mohd Al Adib Samuri of the National University of Malaysia wrote in 2013. 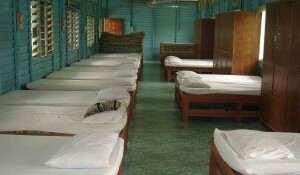 It is difficult to find descriptions of life in the centers, but one former detainee’s account, smuggled out of Malaysia and published in India, describes how she was taken from her workplace, interrogated, and then placed in one of the religious rehabilitation centers – all on the same day, and without legal representation or court proceedings. The young woman reported that when she asked for a lawyer, authorities told her she didn’t need one. Supposedly there to be “re-educated,” she was surprised to find nothing was actually taught, according to her account in “Pearls of Great Price” by R. Hunt (OM Press India 2010, reprinted 2014). The warden and staff quickly discovered that she knew more about Islam than they did, and instead of teaching anything, they tried to entice her back to Islam with the “charm approach,” the author notes. “Folk Islam, with its attendant black magic, was in play here,” Hunt writes. Though the center was filled with male drug addicts, she was an obedient and respectful prisoner. After many months, the warden told her to write a description of her conversion to Christianity, instructing her to blame Christians for fraudulently or forcibly converting her. Instead, she wrote the truth of genuinely placing her faith in Christ. The warden tore it up three times and then caned her, which she endured quietly. Several weeks later, she miraculously escaped during a rainstorm that knocked out electrical power. In his academic paper on Faith Purification Centers (Pusat Pemurnian Akidah), Samuri changes the translation of the Malay words for “Faith Purification” to “Islamic Rehabilitation.” Of the three centers, two are in peninsular Malaysia and one in Sabah, East Malaysia, which shares an island with Indonesia. In “Detention of Syariah Offenders in Pusat Pemurnian Akidah (Islamic Rehabilitation Centers) in Malaysia: Legal Framework and Issues,” presented at the Law and the Muslim World International Conference on Oct. 30, 2013 at Oxford, United Kingdom, Samuri summarizes the rehabilitation program: It consists of Koran recitation classes, guidance sessions, congregational prayers, Friday assemblies, group counseling, community service, aerobics on Saturdays, cooking workshops, handicraft workshops, and gardening/farming workshops. Lectures are given on Islamic special days about their importance in Islam. A monthly prayer evening and personal development workshop are part of the program. The professor gives no details on the content or methods used in the guidance, counseling, or personal development sessions. The impact of sharia courts and use of the re-education camps could expand as strict Islam gains traction in the country. In May the opposition Pan-Malaysian Islamic Party introduced a strict Islamic penal code known as hudud law, to be debated in October, which would be applied to Muslims by sharia courts. The bill was introduced with the backing of the majority United Malays National Organization (UMNO), which heads the ruling Barisan Nasional coalition. Prime Minister Najib Razak has denied that the legislation would bring full implementation of hudud law, which calls for such punishments as stoning and amputation, but opponents give little credence to his claim. Creeping Islamization in Malaysia would mean more cases of violation of Islamic law, more power for sharia courts and more use of the re-education centers. The number of detainees in the Islamic rehabilitation centers is kept secret, though an estimate may be made based upon their size. The one in Ulu Yam (Batul Iman), Selangor state, the largest, has been expanded to house 100 people, up from 50. It now has separate men’s and women’s facilities. The Jelebu facility, in Negri Sembilan state, appears to be somewhat smaller. 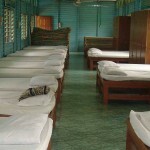 A photo of the staff and visitors implies a capacity of 50 or 60 detainees. The three Purification of Faith Centers probably do not hold more than 200 detainees at any given time. The head of the Department of Islamic Development (Jabatan Kemajuan Islam Malaysia, or JAKIM), Datuk Othman Mustapha, reportedly said in 2012 that there was no need to build new centers. 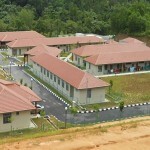 The centers in Ulu Yam (Batul Iman) and Jelebu state were built in the late ‘90s. Apparently the center in Jelebu was closed for about five years due to lack of detainees; a remainder had been moved to an internment camp in Kamunting, which operated under the Internal Securities Act. During the closure, the center was used for narcotics rehabilitation, a youth camp and a police training facility. It is difficult to estimate the number of converts from Islam in Malaysia. Online newspaper MalaysiaKini reported that 863 people had applied to leave Islam from 2000 to 2010. During that period, 168 had been allowed to do so. That works out to 86 applications per year, with 19 percent being granted. Others have done studies at the state level and found the number of applications very small, with approval rates even lower. Many of those requesting to leave Islam are not ethnic Malays but others, including persons who converted for marriage or other such reasons. The low rate of approval undoubtedly influences the application rate, which is extremely low for a country of 30 million people. A non-Malay Muslim in Sarawak state, Rooney Rebit, won the right to convert to Christianity when in March the High Court in Kuching upheld his choice. Rebit was born into a family that was originally Christian, with his parents converting to Islam along with the rest of the family when he was 8 years old. The judge ruled that Rebit was underage when he became a Muslim and mature enough at age 24 to make a conscious decision to be a Christian, but it remains to be seen what precedent the case could hold for those born into Muslim families, and presumably it would establish no precedent for ethnic Malays. About 50 percent of the population is ethnic Malay, and the rest are ethnic Chinese, Indian, and indigenous tribes. Article 160 of the Constitution dictates that all ethnic Malays are Muslim, and evangelization of Malays is against the law. As the Malay states became more Islamist in the 1990s, they began to enact more sharia, and the Federal Department of Islamic Development became more active in promoting Sunni Islam. Most of Malaysia’s states have enacted their own versions of sharia, and in 10 of them leaving Islam is a crime. All states have anti-apostasy laws except Sarawak. At least three states send potential apostates to the Islamic rehabilitation centers, where they can be held for 100 days to three years. Sharia courts determine the time and approve extensions. The sharia court system is beyond the reach of civil legal procedures and courts in these cases. “The [civil] courts referred to in Clause (1) shall have no jurisdiction in respect of any matter within the jurisdiction of the Syariah courts,” states Article 121 of the Malaysian Constitution. The laws, the sharia court system and the “re-education centers” make conversion from Islam almost impossible to do legally in Malaysia. It appears that Malays who do change their beliefs do not attempt to change their identity cards; anecdotal evidence bears this out. Fear of re-education centers and persecution by their families force Malay Christians either to follow Jesus secretly or to move to Commonwealth countries such as Australia or New Zealand, where they can openly worship Jesus. Malaysia’s “freedom of religion” is thus a claim under conjecture. Article 3 of the constitution states, “Islam is the religion of the federation; but other religions may be practiced in peace and harmony in any part of the Federation.” Adherents of every religion have the right to propagate their faith, but state and federal law “may control or restrict the propagation of religious doctrine or belief among persons professing the religion of Islam,” according to Article 11. In other words, adherents of all religions are free as long as they do not bother Muslims (who are mostly Malays). It is illegal in Malaysia to lead ethnic Malays, who are all considered Muslims by law, to Christ. Any Malay who tries to change his or her religion can be detained on the orders of a sharia courts; there is no recourse to civil courts or “right to choose” another religion. For ethnic Malays, leaving Islam is a crime in most states. Lapsed Malay Muslims can be detained in Faith Purification Centers for 100 days, a period that can be extended by sharia courts. In summary, freedom of religion, the right to legal representation, freedom from involuntary detention, and other rights mentioned in the Universal Declaration of Human Rights are not available for Muslim Malays who convert to other faiths. I heard from people who have been in these places that they are tortured in there. I am glad I ran away to Canada before I was dragged back to Malaysia from the USA for one of these places. if any other religions did this the world would be in shock and oppose or destroy it , yet islam gets away with so much barbarianism ..if islam is so good or from God there is no need to force it !!! may God punish these demons .i do know in due time Jehovah God will destroy the wicked ,even they know to force religion is pure evil ! !